Surpass is fine. Any no-heat producing substance is fine. If liniment or heat creating medicines have been used, wait 72 hours for medicines to dissipate before using Blanket. Wash animal several times during this time to help dissipate the medicines form the animals system. By not following this procedure it could cause blistering or irritation to the animal's system. As with any new blanket or therapy, please do not just place on horse first time and leave horse. The blanket will increase circulation and therefore the horse may have itchy spots. Each horse can require a different amount of therapy time. Just experiment to find the correct usage time for your horse. Some need them more some less. If you will just watch your horse he will tell you. Yes you can leave it on your horse in the sun. 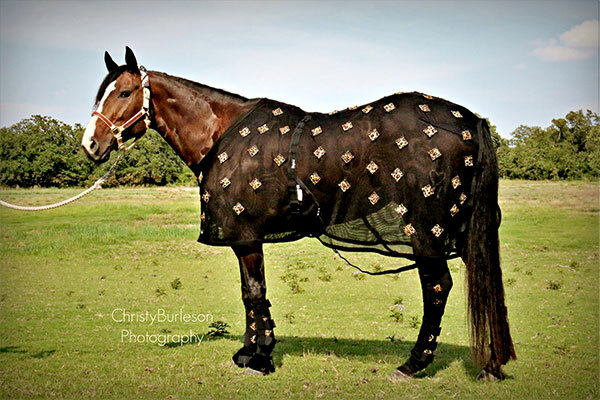 Yes you can put it on your horse when they or the blanket is wet. Yes you can put it on your horse when he is eating. Yes you can haul your horse in it. Yes you can leave it on during a storm. Basically you can use your blanket anytime you feel that your horse will benefit from it. Yes you can haul in a steel trailer. Watch the videos below to learn the best way to put Stifle Wraps on your horse. Watch the videos below to learn the best way to put Fast Wraps on your horse. PHT Magnetic Horse products have been proven to expedite and stimulate healing and recovery in horses by increasing blood flow to reduce inflammation and ease soreness. PHT Magnetic horse products are great for treating arthritic discomfort, as well as muscle tightness and stiffness due to exertion or injury. PHT Magnetic Sheets are recommended to be used as much or as often as the horse needs it. It is the one therapy you do not have to worry about using too long or too often. Just simply do not use while exercising. PHT MagnaCu Sheets are made of a lightweight copper infused mesh featuring a closed front, surcingle closure with hind leg straps. 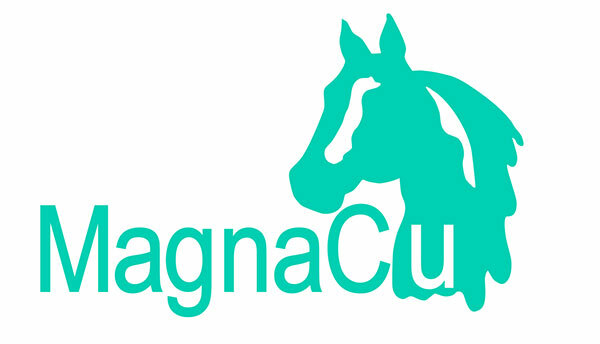 MagnaCu Sheets contain 80-90 (depending on size) strategically placed unipolar magnets for optimal penetration of acupuncture points, meridians and muscle groups.. The magnets measure 3850GAUSS which provide the optimum penetration needed. Each magnet is sewn into a neoprene pocket to product with a copper infused patch next to the horse. Wash in cold or warm water. Wash separately. Use a fragrance-free and dye-free detergent. DO NOT USE bleach, chlorine, chloride, or fabric softener containing products. Do not use in conjunction with any other topicals, medications, etc. If you are using after a heat-producing topical, make sure you have washed the area several times and wait 72 hours. Wash animal making sure they are clean. If the above is not followed, you can cause irritation to your horse and possibly damage the product. Please observe animal with new usage. There is no buildup of time. PHT Products are a cummulative use product. The more you use them the more your horse will benefit from them. For pregnant mares, MagnaCu Blankets are not recommended. If you have any questions feel free to contact us at 806-418-5641. PHT Products carry a 30-day manufacturing warranty. All of magnetic products are all bionorth / north pole / unipolar (negative polarity towards body). We do not sell any bipolar magnets because they are inferior and dangerous to use. South pole (+) positive magnetic field energy is known to stimulate micro-organism growth, cancer, and disease within the human body. Bipolar magnets are a combination of (+) and (-) therefore they should not be used by persons with cancer or other illness. *All of our Magnetic Products are unipolar - negative field magnetics.